Now I like to have fun just as much as the next guy – possibly more. And I like a good challenge too. But when I signed on the dotted line to run the Las Vegas Rock and Rock Marathon in November of this year, I had no idea how not “fun” the training would be. Or how much I would have to give up. Or how much I would have to invest – both literally and figuratively. Time, money, energy, resources not to mention the blood, sweat and tears. As the weeks of training began to unfold I waited for the runner’s high to kick in. I waited for the fun to begin. I waited for something to shift in my mindset so that I too would catch the ‘running bug’ or experience the famous (yet elusive) runner’s high. I ran and I ran. I ran in sun, I ran in rain, I ran in old shoes and new shoes. I ran slow and fast (mostly slow). I even bought $20 runner socks (whatever the heck those are). Nothing. I don’t like it. It’s hard. It makes me sweaty and sore and uncomfortable. Not everything is easy. Not everything is fun. Sometimes we just have to bear down and get ’er done. I honestly don’t know if I can run a full marathon (especially not in the 5 hour time limit available for this particular event) but I’m going to give it my all. Pushing through – that’s just one more way to live Your Life, Unlimited! Gratitude was the theme this week on Your Life, Unlimited radio on CJOB. Steve Foran, the Grateful CEO did a cool social experiment – he held the door open for 100 people in Halifax and received 99 thank you’s! 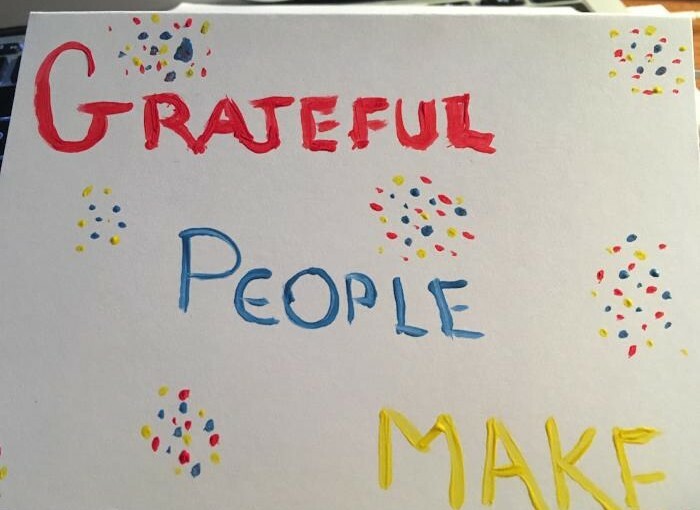 Grateful People make Grateful People! How do you induce gratitude? This entry was posted in Blog, Health, Motivation, Personal Growth, Wellness and tagged Blog, health, Motivation, personal growth, wellness. Bookmark the permalink.